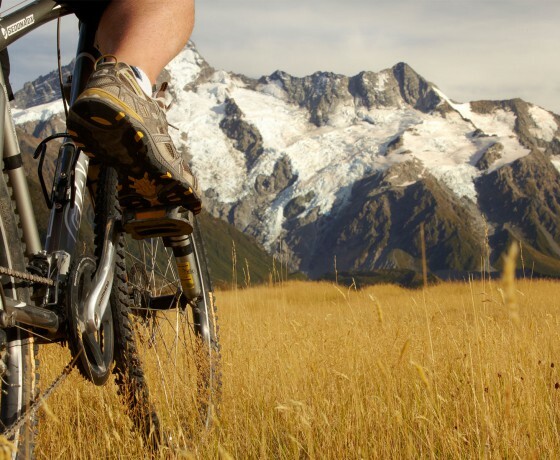 The Mackenzie region is fast becoming known as a mecca for cycling and mountain biking. With tracks catering for novice and young riders through to the more advanced technical cyclist, the region has many tracks of varying degrees of difficulty and distance. 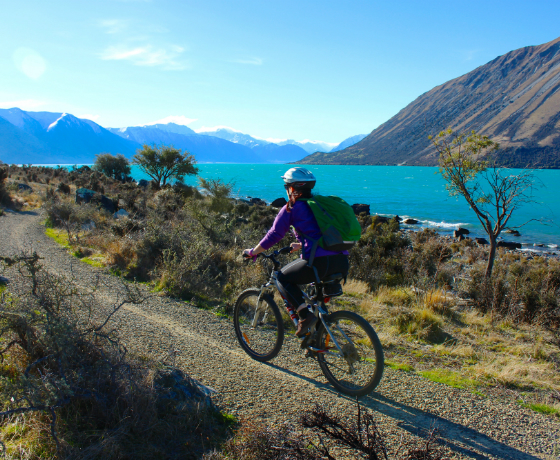 The Alps 2 Ocean Cycle Trail is New Zealand in all its colour and beauty – from our highest mountains, past great lakes and rivers and down to the ocean. 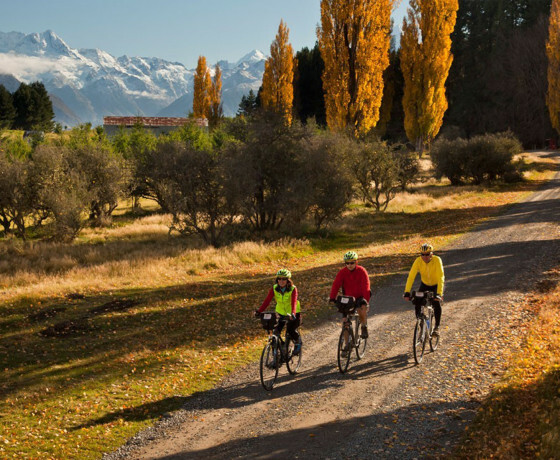 Suitable for all ages, the 9 section bike trail is an easy to intermediate grade, linking the Southern Alps to the Pacific Ocean. Allow 4-6 days for the entire ride, or simply try a day excursion. 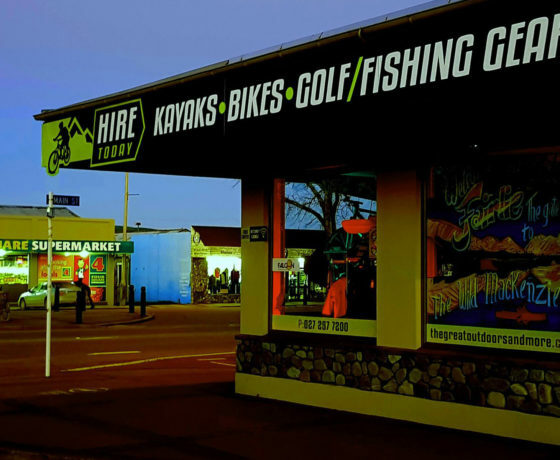 Whichever option you choose, the A2O Cycle Trail is sure to be a memorable experience. 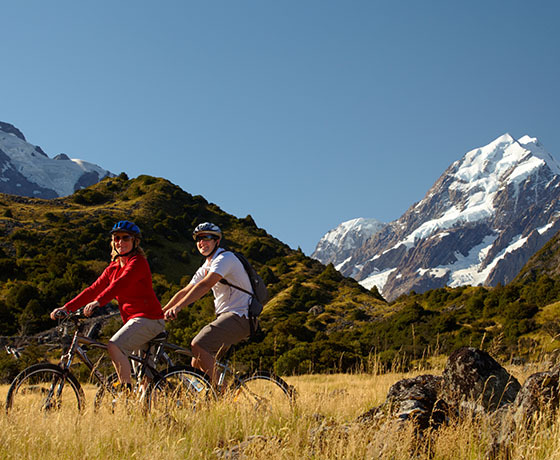 The Alps 2 Ocean Cycle Trail is considered one of New Zealand’s Great Rides. 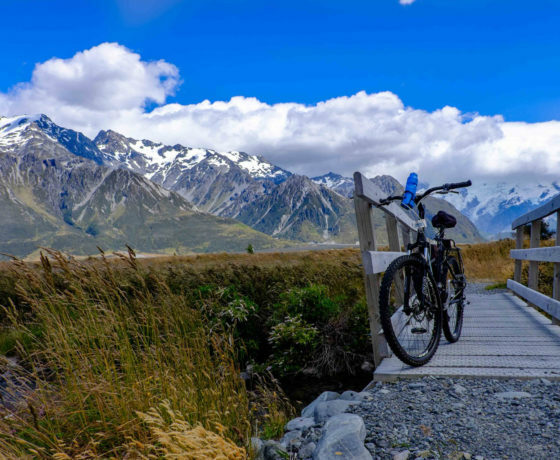 However, with the spectacular scenery of the Mackenzie Region, there are numerous other cycling tracks that will be the perfect fit for cycling enthusiasts. 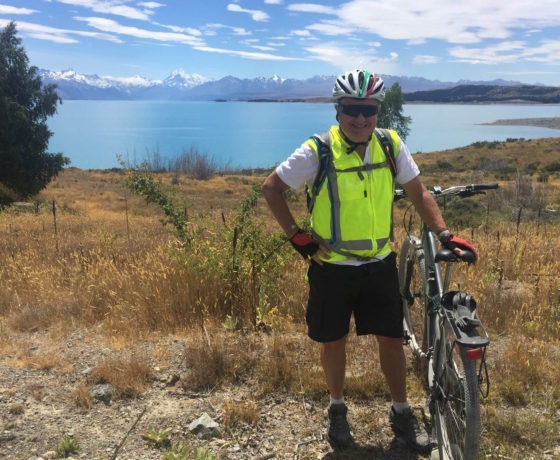 Situated on the eastern shore of Lake Tekapo, the Lake Tekapo Regional Park offers a wide range of recreational activities including well marked mountain biking and walking tracks. The park links to the village via the lakeside track and to the Cowans Hill track. Within the park there are 24km of shared used tracks under various stages of development. Grade 4, 13 km one way (when you bring two cars) or 26km return. The Richmond Trail is a fantastic mountain bike ride for intermediate mountain bikers. The track starts at a signposted car park on the Roundhill Ski Area road. Grade 2, 3.2 km. 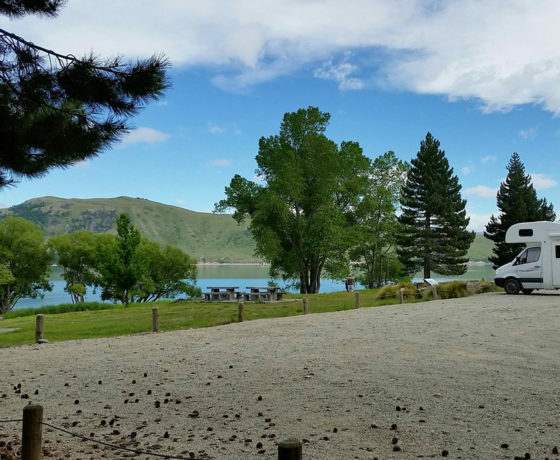 This well formed circuit track is signposted from State Highway 8 on the northern outskirts of Lake Tekapo. It is a combined walking and cycling track. 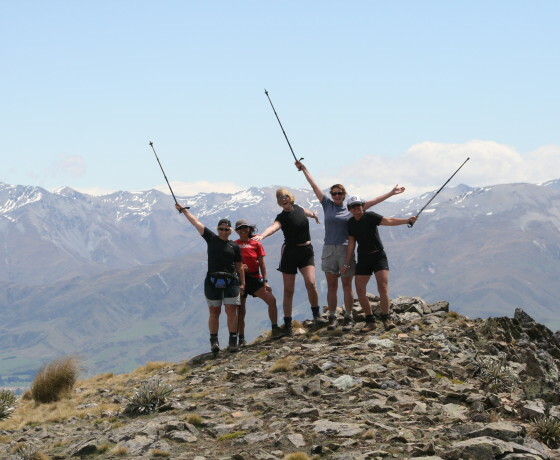 Highlights include the views of the glacial features, tarns and wetlands of this area. Grade 2, 3-4 hour return, 24 km return. 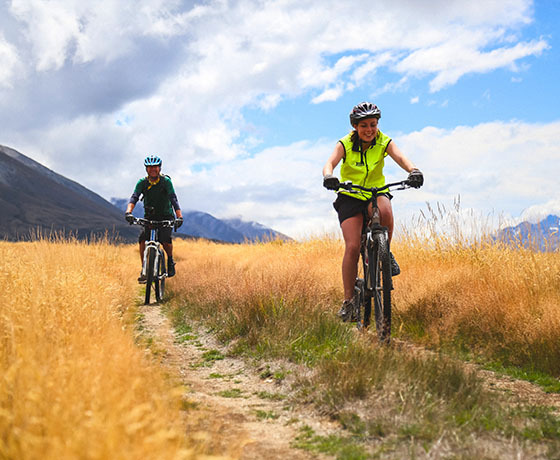 The Twizel River Trail, opposite Twizel township on the eastern side of State Highway 8, runs for 12 km over old farm tracks and a newly established river track. The track is mostly flat with some gentle climbs on smooth track with some avoidable obstacles such as rocks. Grade 2, 23km circuit. 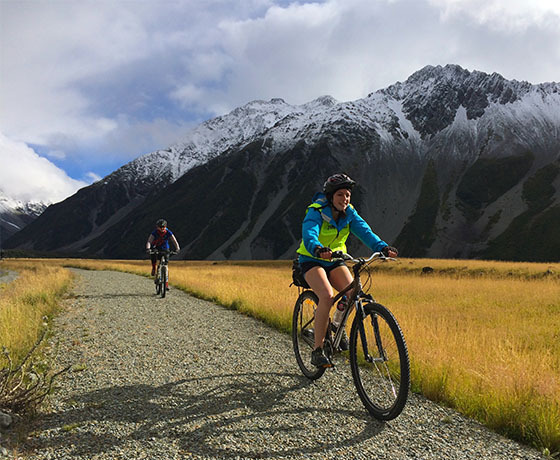 There are two entrances to the Dusky Trail – either the Aoraki/Mount Cook Road (SH 80) or closer to Twizel, off Glen Lyon Road at Fraser Stream. A key highlight of the track is the crossing of the Twizel River. This crossing can be deep after rainfall so bikers need to take care. Grade 2, 1 hour or 7km. The North Opuha Conservation Area covers the lower slopes of the Ben McLeod Range with a landscape of valleys and mountains, the area covers around 2,000 hectares. 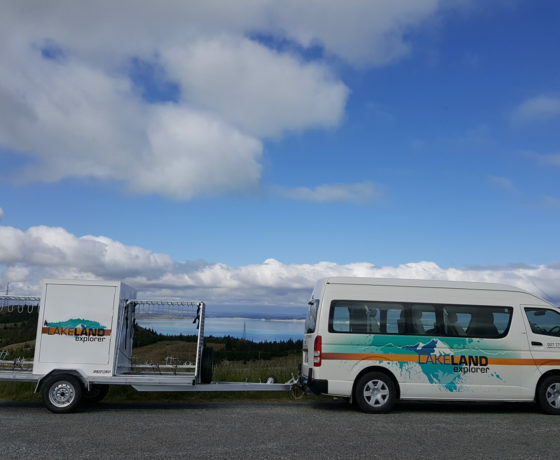 The area is 30 km north west of Fairlie, opposite the Fox Peak Ski Field. Please note this is a mixed use area with walkers and hunters in the area. There is also a four-bunk North Opuha hut that is a welcome picnic spot, turning point or if you bring your sleeping bag, place to watch the stars.